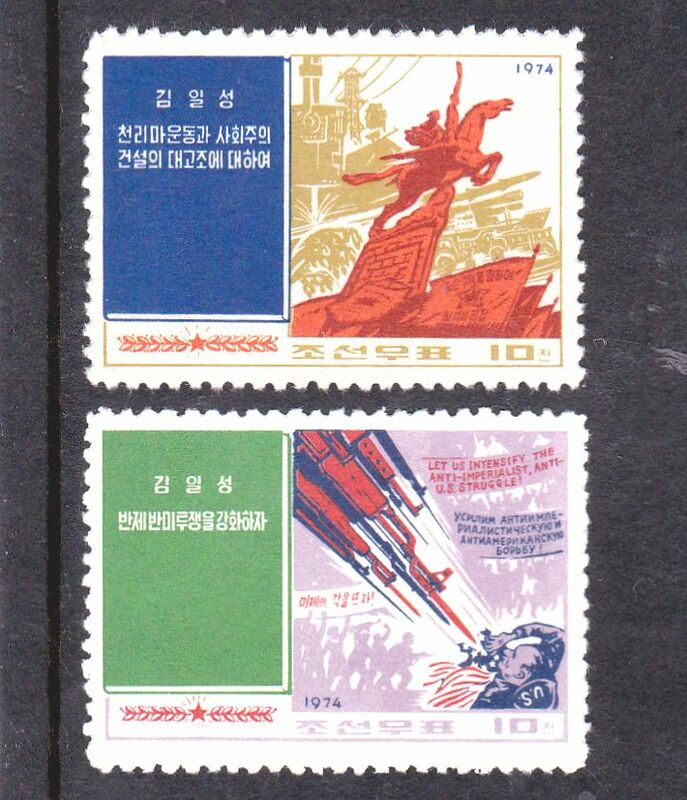 L4684, Korea "Anti-USA Struggle, Writings of Kim Il Sung", 2 pcs Stamps, Imperforate. MNH, please see the pictures. 1 pcs Stamps, Imperforate. Issued in 1974.